DH an I ate #4 and #2. Only way DH likes peppers is butter-simmered sweet peppers and onion mix to eat with sausage, so I gave him the can’t-get-any-riper #2 and #4 Bill’s Striped along with some green Oxhorn of Carmagnola and Giant Sweet Devil’s Horn. He cooked them with sweet Spanish onions. I was delayed in joining him, and when I got the ketchup out of the fridge to use, I realized it was a new bottle and not yet opened. I asked DH if he used a different bottle of ketchup (did he finish up another bottle?) and he replied it was good without ketchup. —you have to understand he NEVER eats his onions and peppers without ketchup. The fact that he didn’t even think about using it goes a long way in making some assumptions about the aroma of the cooking peppers (and onions) making him forget even getting the ketchup, and initial tasting leaving him sated and not bothering. I tasted small slivers of the raw peppers before they were cooked. I noted that #2 had a distinctively better flavor - richer, maybe fruitier - compared to #4 which seemed watered down. 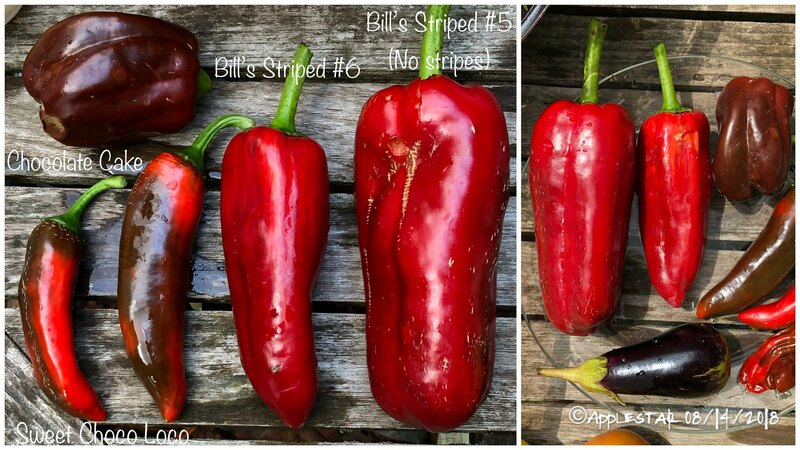 GWDH was also tastier as green peppers than OHOC, and Bill’s Striped peppers had twice as thick walls than either of the green peppers. All of these peppers had thin skin that were not at all intrusive. Only skin that got spat out were the sausage casing. 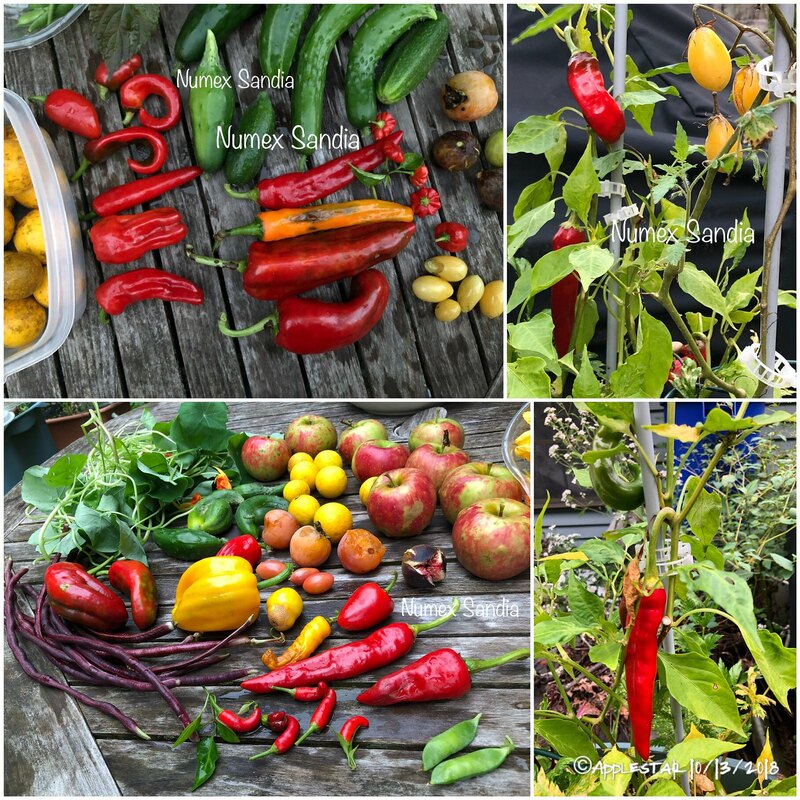 ...they have not been growing well — mites, drought, too much rain...then started to see munched on leaves and flowers/fruits.,, then I was away from the garden for a bit. ...Doesn’t the color of the Trinidad Scorpion Chocolate really make you think of chocolate? It really becomes difficult to see the stripes on Bill’s Striped once they have fully ripened. ...I was really not very successful in obtaining bagged blossoms to set. But here are two that will be harvested today — a god looking #2 and and a mite-scarred and stunted #4. I suppose the mite damage might be considered only cosmetic and should not affect the genetic strengths. 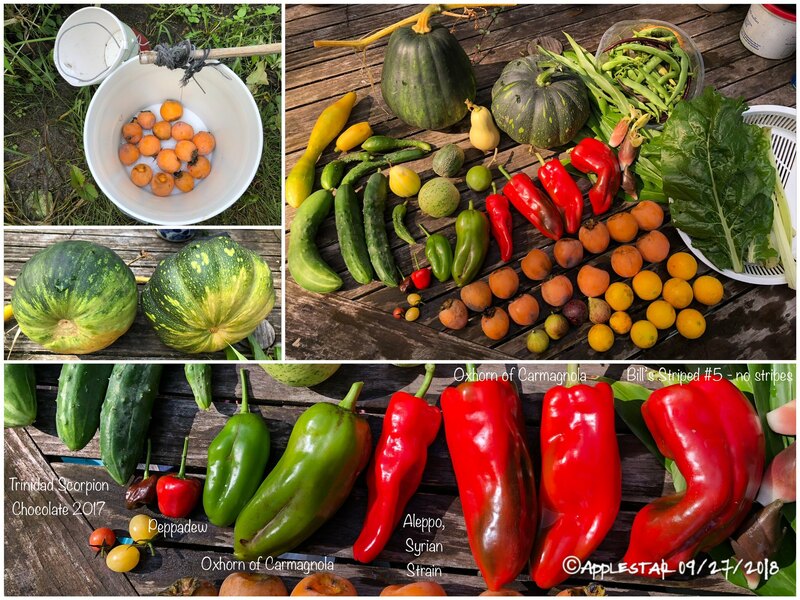 #4 was very productive and yielded beautifully striped fruits when not bagged.... Hopefully there will be some good seeds in there. Thin skin makes it very versatile. I even foil roasted some broadly cut strips with basil olive oil and garlic until some of the exposed pieces had blackened — for keeping in a jar of oil in the fridge. I didn’t have to peel anything. The long pointy pepper that ripened red is Numex Sandia. I had lost the tag for it and kept reminding myself to look it up in my seed starting log or the map, only recalling that it was a “Numex something the started with an S” ...and that it had been a lone seedling survivor so I planted it in the patio pepper SIP for safe keeping — I finally retrieved the info and it is Numex Sandia. If anyone has grown it before and have impressions/details about this variety, I would love to hear about it. 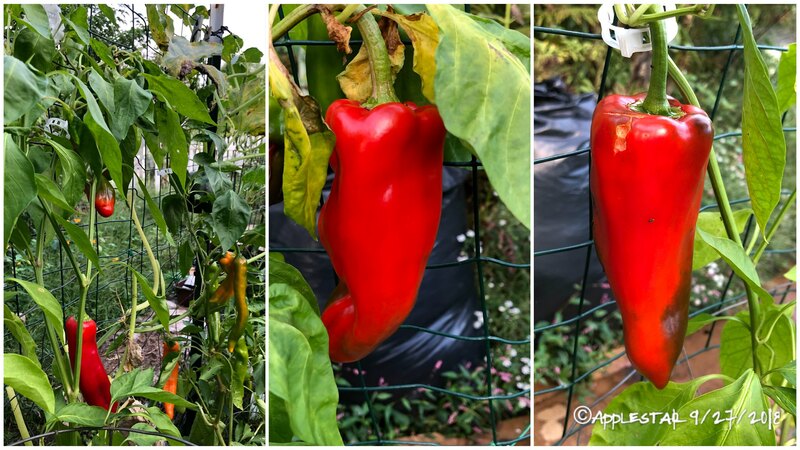 - Oxhorn of Carmagnola that were harvested on 9/27, and the photo on the left is from 9/15. I grew 3 plants — these Two and one in a 2.5 gal container. - The in-ground plants grew to about 4 feet. The container one to about 42 inches, but the container one was in a shadier spot. 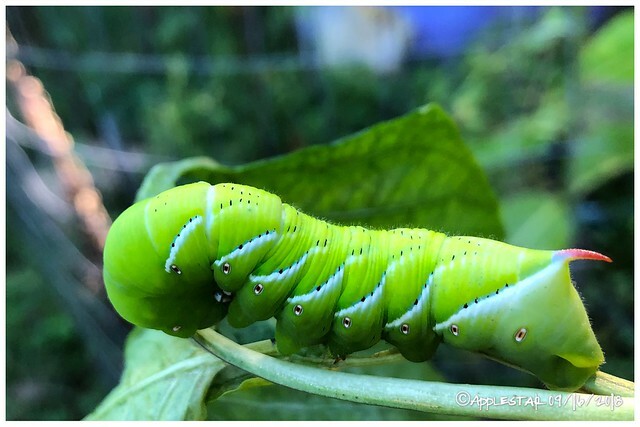 - All of them, but especially the container plant was beset by pepperfly maggots, particularly while stressed in the middle of the summer. - They have been more productive than Bill’s Striped, about equal to Giant Sweet Devil’s Horn, but not as productive as Aleppo Syrian strain, though Gochugaru yong Gochu beat them all in productivity... but those fruits are thin-walled and smaller plus the GYG plant is in its 2nd year. - I brought in the potted plant and dug up and plastic shopping bagged the 2 in-ground plants to overwinter. Currently they are in the garage, but I may pot them up and see if I can coax them to keep producing indoors. 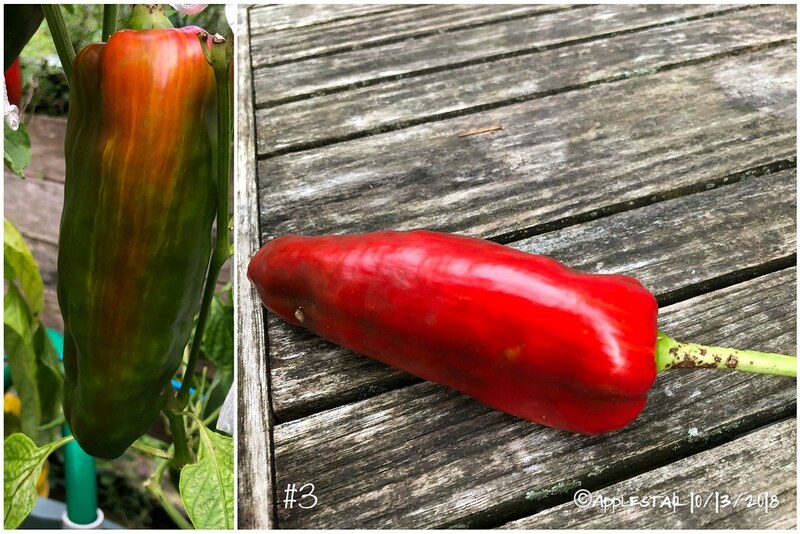 Where do you find plants for large Sweet RED Peppers? I never see those at Lowe's, Home Depot, Garden store, in spring? 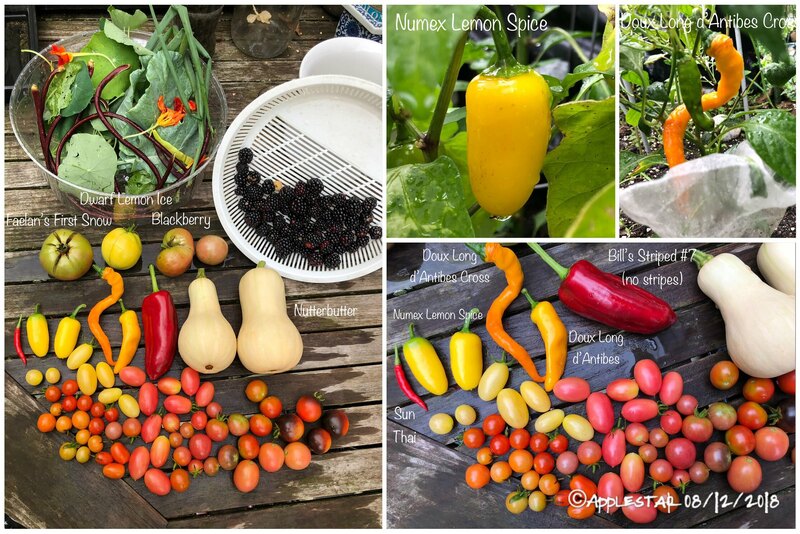 Are you growing those from seeds you bought from a seed catalog? 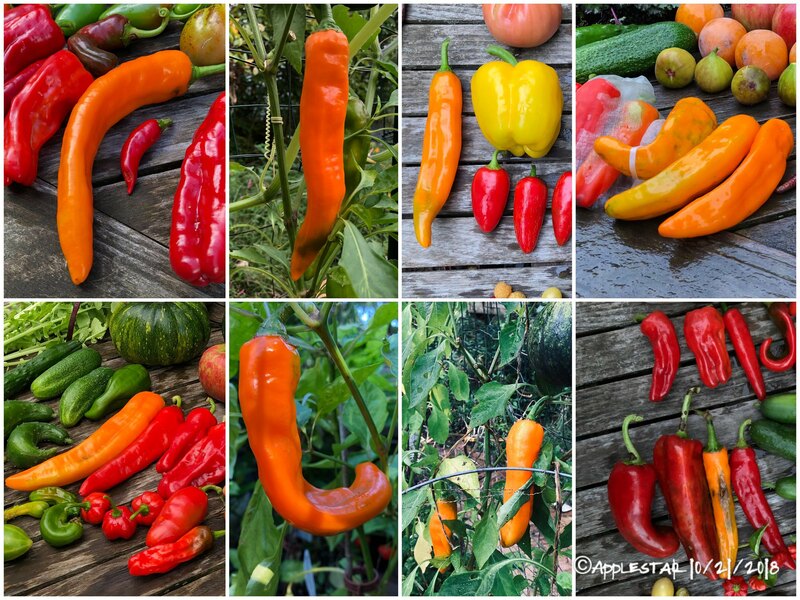 Do your plants produce a long number of peppers? 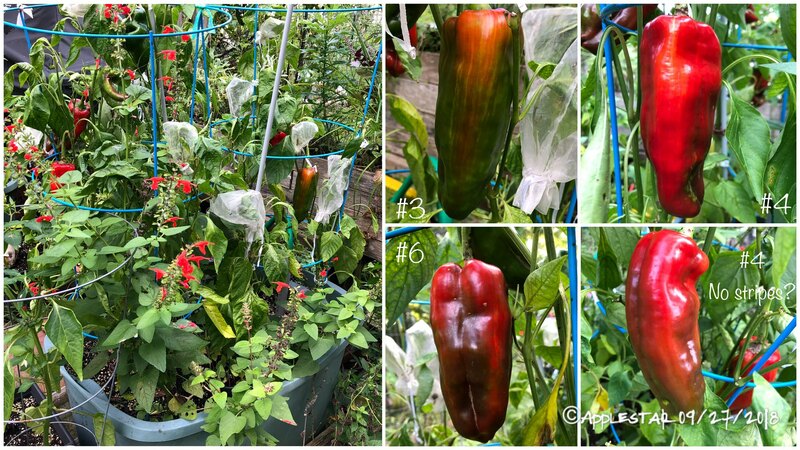 We are only interested in 4 Large Red Sweet pepper plants next year. 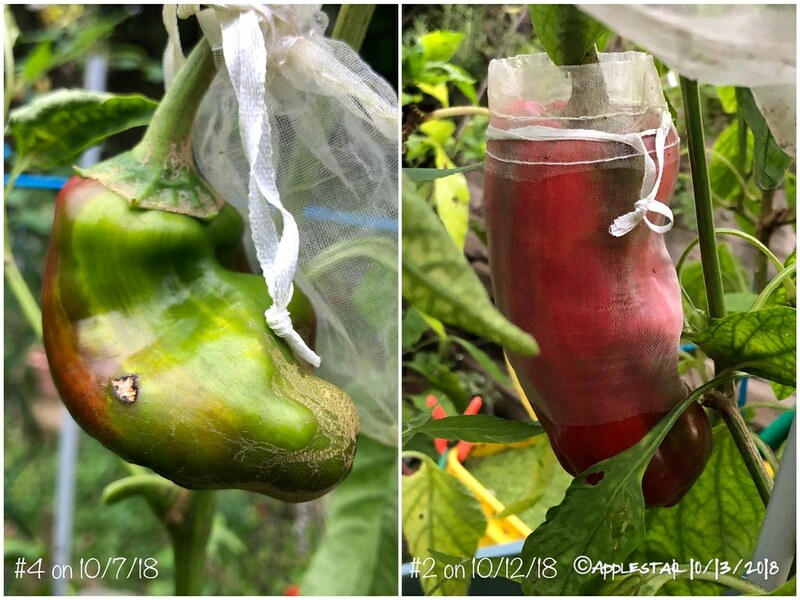 @Gary350, I grow my peppers from seeds. Most seeds I have currently are traded seeds that were saved by another gardening friend. I can’t share the Bill’s Striped seeds because they are “under development” — not even that huge #5 which is not the trait they are looking for. But Bill’s Striped is an offshoot segregate from grow out of Giant Marconi, which is a popular thick walled sweet (not spicy but actually not candy sweet either) HYBRID variety, and from all I have seen, #5 is showing traits that are similar, so I think you would be able to find plants for this one at garden centers with good variety selection. Bonnie, a popular nursery stock brand, sells this variety so maybe look in stores that carry Bonnie plants. I don’t know about big box stores, but some independent nurseries would order specific varieties for you as well. I’m not sure if you are interested in mail order transplants, but if you are, most big seed catalogs like Park Seeds also sell started plants. Park Seeds is in S.C. and have been in mail order seed and garden plant business for a long time. IMHO stick with sources that are geographically close so the package isn’t traveling or stored for many days in transit. 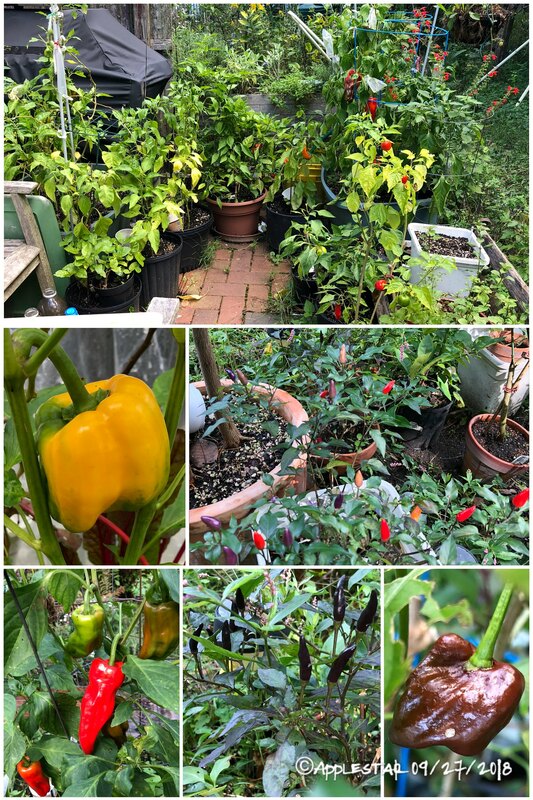 In my area there is a huge mail order pepper plant vendor. I have yet to try any from them, but they look good and reliable. There should be ones near you as well. You might also look for plant sales when your planting time approaches in spring. County or University Ag departments, garden clubs, arboretums, etc. Since you travel and go camping, you might be able to go to some really interesting ones. If you are interested in heirloom and open pollinated varieties (these are the kind you can save seeds from and plant year after year with same characteristic fruits), I particularly like Southern Exposure Seed Exchange, and if you keep an eye on their event page (or sign up for their e-newsletter) they often participate in gatherings that I’d love to go to but are too far for me. 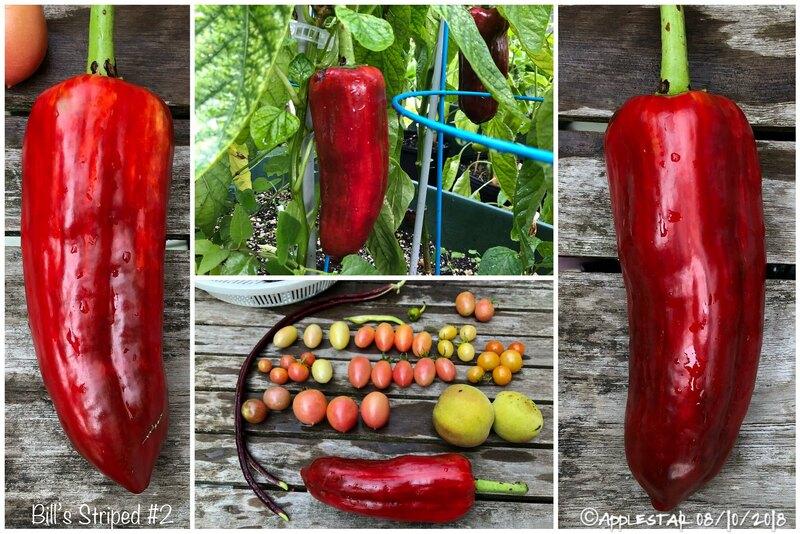 — SQWIB made a comparison between Giant Marconi and Red Marconi from this summer’s garden. 80 days. (green > red) Fabulous yields with this 7 in. horn shaped Italian heirloom. 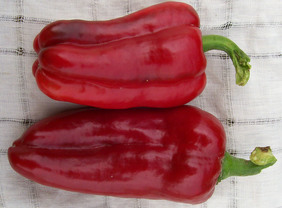 I read that Red Marconi is a very large sweet Red Pepper from Italy. I have better luck with seeds from other countries. I'm tired of plants that never produce a crop.. 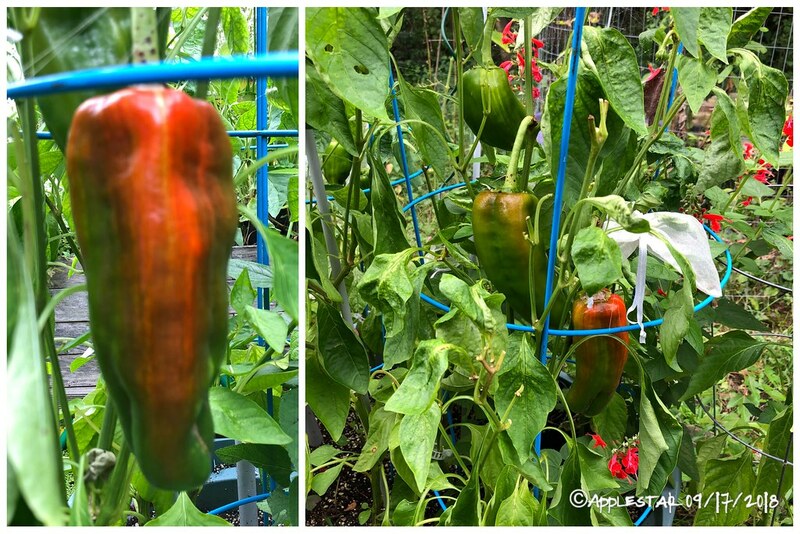 Asking the experts on tomatoes and maybe peppers? !